Balthazar London celebrates its fifth anniversary with the launch of the High Five Afternoon Tea. Created by head pastry chef Regis Beauregard, the tea brings together the best afternoon items to have been served in the restaurant over the past five years to create an indulgent crème de la crème menu. The experience commences with a feast of finger sandwiches filled with pickled cucumber, smoked salmon, coronation chicken and egg mayo, as well as restaurant favourite, the lobster prawn roll. These are followed by the inimitable rich, creamy buttermilk sultana and plain scones, which come with Devonshire clotted cream and homemade strawberry preserve. To conclude, there's a decadent line-up of cakes and pastries. Tuck into the raspberry and Valrhona Balthazar icon, the tea time gooseberry roulade, a blueberry union macaroon, the golden bombe and the queen of tarts. Diners also get to take home a Balthazar birthday treat: a canneles bordelaise. Wash it all down with a cup or two of Postcard tea or, for an extra special treat, with The Golden Fizz cocktail or a glass of Gaston Chiquet Champagne. Balthazar High Five Afternoon Tea gyms, sporting activities, health & beauty and fitness. The best pubs near London Balthazar High Five Afternoon Tea. Balthazar High Five Afternoon Tea clubs, bars, cabaret nights, casinos and interesting nightlife. 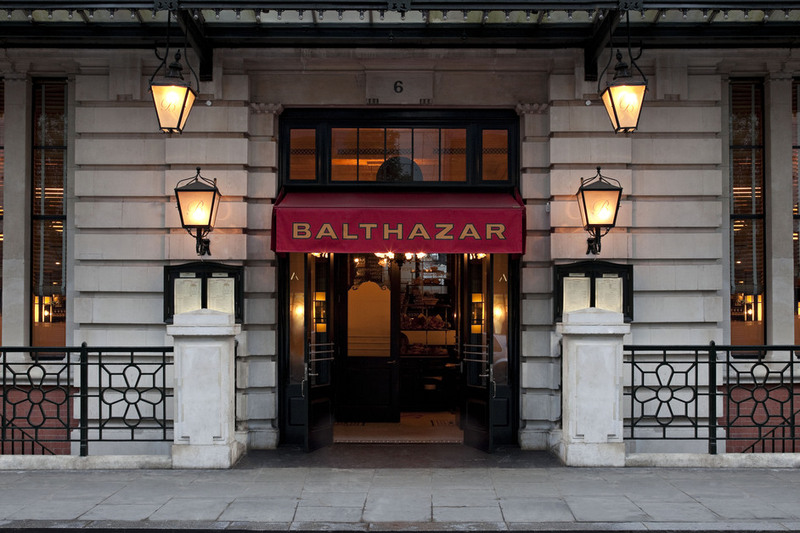 Where to have your meeting, conference, exhibition, private dining or training course near Balthazar High Five Afternoon Tea. From cheap budget places to stay to luxury 5 star hotels see our deals for Balthazar High Five Afternoon Tea hotels, including The Waldorf Hilton Hotel London from 76% off.